Two-time GRAMMY award-winning duo for KING & COUNTRY have released their highly anticipated third studio album, Burn the Ships, via Curb/Word Entertainment. 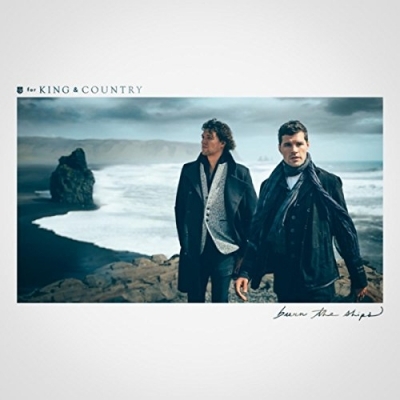 This record is especially meaningful for the group, as for KING & COUNTRY tapped into their own feelings of forgiveness, desperation, and hope to produce their most heartfelt and personal record to date. Songs from the album have brought Joel and Luke Smallbone to unprecedented heights, with lead single “joy.” becoming a multi-week, multi-chart, international No. 1 hit with over 20.6 million streams. Burn the Ships is already Top 5 in six countries, including the U.S., Canada, and Australia. Today, for KING & COUNTRY also premiered the stunning music video for the title track “Burn the Ships," which visually displays the meaning of the record. They filmed the video on Lady Washington and you may recognize the ship as The Interceptor from the film Pirates of the Caribbean. Burn the Ships is an 11-song collection that adeptly dissects the human condition, utilizing the Smallbones’ own personal experiences of hardship and redemption. From the soaring, up-tempo jubilation of “joy.” to the profound and tender message of self-love in “God Only Knows,” it is apparent that for KING & COUNTRY have mastered creating diverse worlds within their music. Their incredible live performance is a mirror of this fact, as is evident by multiple sold-out shows on their current tour, including major markets like Seattle, Denver, and Nashville.